Dozens of layers of spray paint represent years of "tagging" by visitors to the Route 66 roadside attraction. Now the reclaimed paint chips are pins to wear. 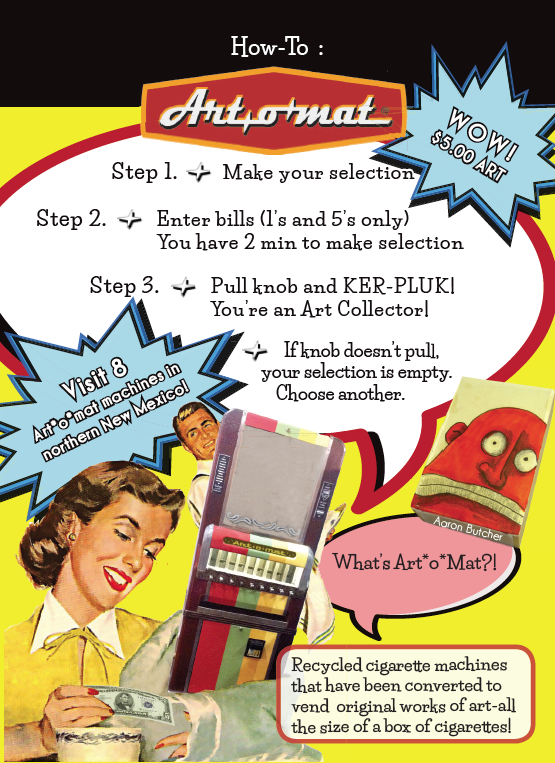 After hosting Art*o*mat® machines for 8 years I figured that it was about time for me to contribute some art to the program. As of today I am debuting my Wearable Americana paint chip pins from World Famous Cadillac Ranch in Amarillo, TX. Dozens of spray paint layers applied to the iconic Route 66 roadside attraction have peeled off and fallen to the ground and were then reclaimed to create a keepsake pin -a wearable conversation piece representing several years worth of a fun and creative community art project. 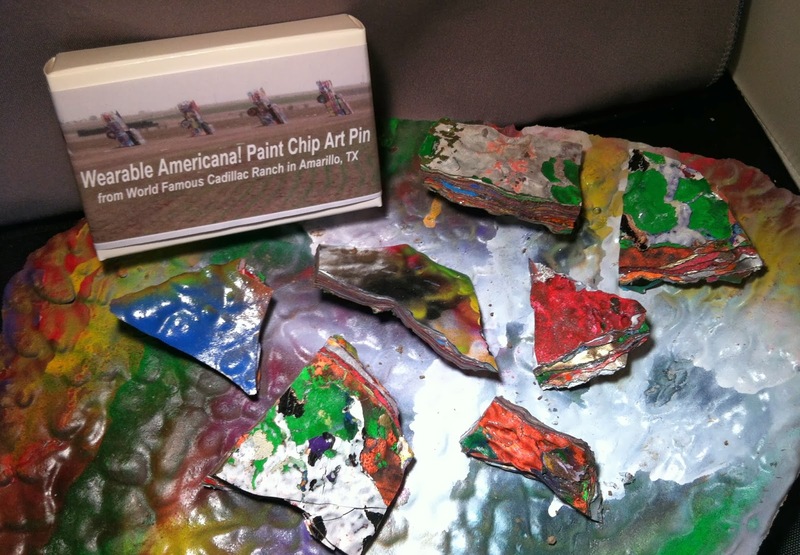 Cadillac Ranch is a public art installation and sculpture located in a cow pasture along I-40 created in 1974 where 10 nose-in half buried '49 to '63 Cadillacs await artists' daily redecoration with spray paint. If you're in the area I strongly suggest you grab some bright colors of spray paint and leave your mark when you visit -hurry and take a photo because it will surely be covered by the next artist. 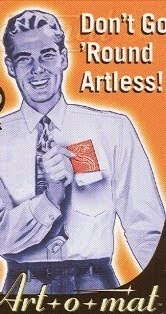 Not going to Amarillo any time soon? 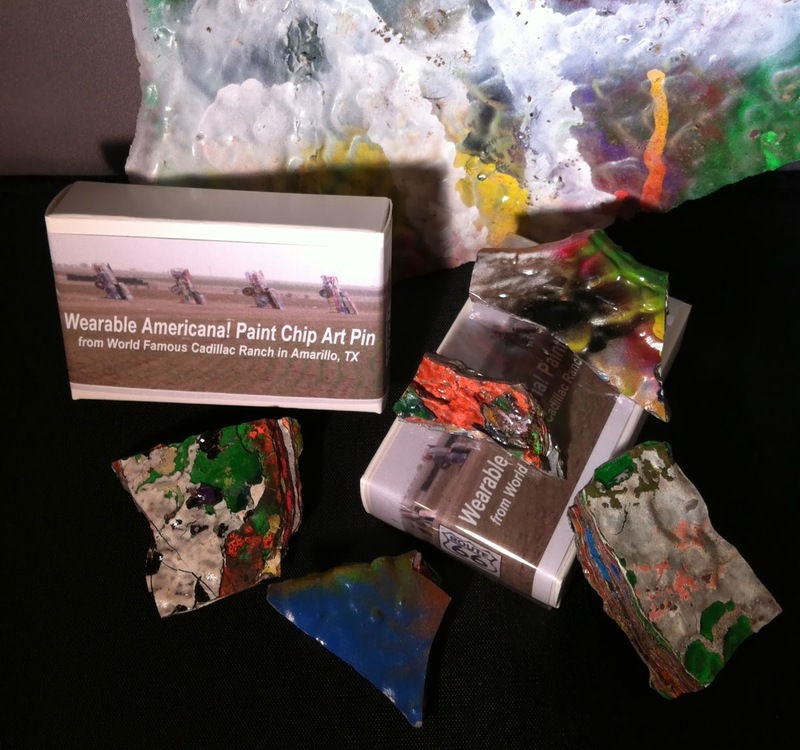 Pick up one of my new Wearable Americana paint chip pins right here in Santa Fe's Art*o*mat®!